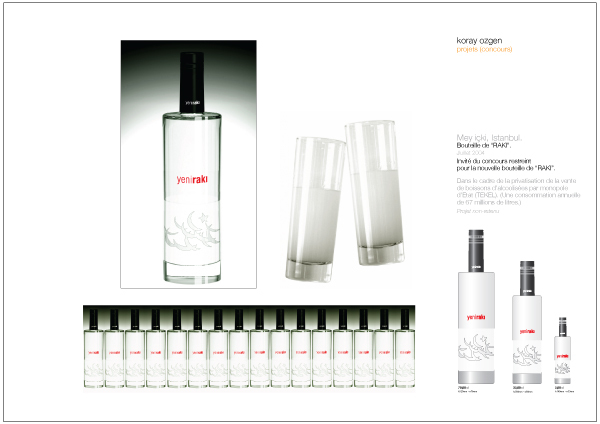 Following the privatisation of “TEKEL” (The Monopoly of Alcoholic Beverages in Turkey), Koray Ozgen was one of the five designers asked to propose a new bottle for “YENI RAKI” (The traditional Turkish local spirit- annual production of 67millions liters). Ozgen favors neutrality by translating the dailylife relationship between RAKI and consumers rather than folkloric connotations. 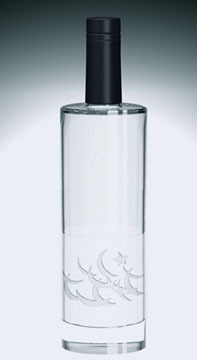 Ozgen takes the proportions of the wellknown RAKI glass and materialise the translucide aspect of RAKI along with the visual effects of ice cubes by applying acid etching on this pure cylindrical form.